When you want to display a complex 3D mesh in your 3D application, you must want to find an external model format for you to use. They would be COLLADA(.dae), FBX(.fbx), or OBJ(.obj). However, If you want to make a 3D engine, you must want to support more kinds of formats. 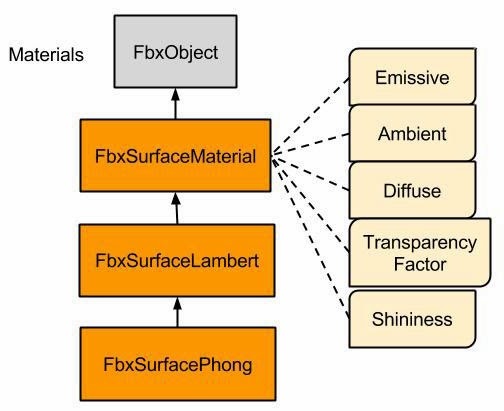 Therefore, I start to research FBX SDK. C++ library, you can integrate it with your content creating pipeline, to make file parser, converter, importer, and exporter. For customizing the behavior of the FBX importing and exporting by define dynamically loaded library. Using Python binding C++ library of FBX SDK, it allows us to write Python scripts that can use classes and functions of FBX SDK. 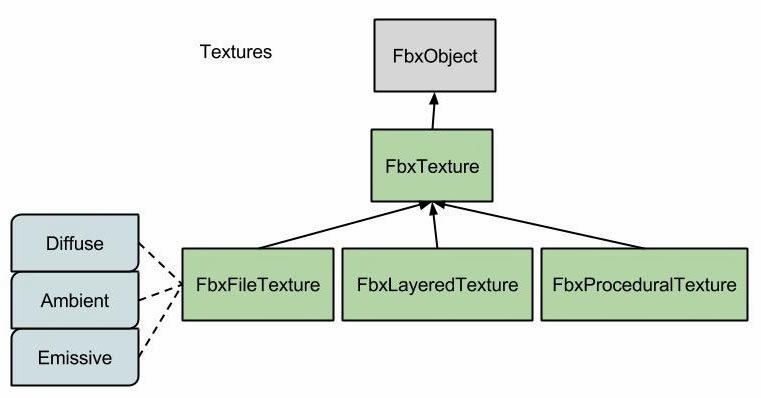 Most of classes in the FBX SDK are derived from FbxObject. FbxScene, the FBX scene graph is organized as a tree of FbxNode objects. 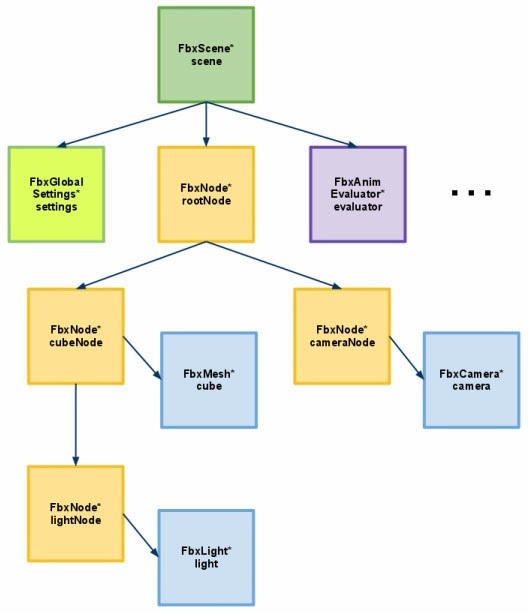 These nodes are cameras, meshes, lights...elements, These scene elements are specialized instances of FbxNodeAttribute. I/O objects, FbxImporter and FbxExporter objects are used to import and export scene. Collections, most container classes are derived from the FbxCollection class. FbxScene is just derived from FbxCollection through FbxDocument. The scene graph is abstracted by FbxScene class. It is a hierarchy nodes. 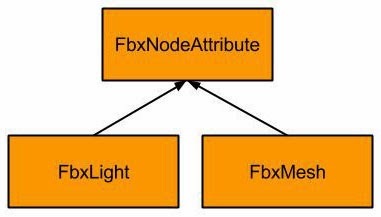 The scene element is defined by combining a FbxNode with a subclass of FbxNodeAttribute. FbxNodeAttribute: FbxNode is combined by Transformation Data and Node attributes(FbxAttrubute). // Create an IOSettings object. // Declare the path and filename of the file containing the scene. // In this case, we are assuming the file is in the same directory as the executable. // Create a new scene so it can be populated by the imported file. // Import the contents of the file into the scene. // The file has been imported; we can get rid of the importer. You can find the output folder has a three.js in-house model file, which is json format, and you also see the textures your model needs have been copied to your folder[that is my contribution on three.js].